(Swivel 1"-20 Male throwaway cylinder thread x P.O.L. with handwheel). 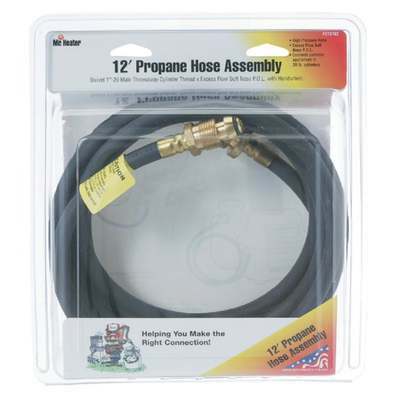 Mr. Heater's most popular hose; permits the use of larger propane cylinders on appliances; designed for use with small disposable cylinders; convenient hand tightened swivel both ends. Used with Mr. Heaters portable Buddy.